Guthrie bed and breakfast travel guide for romantic, historic and adventure b&b's. 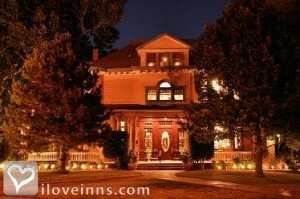 Browse through the iLoveInns.com database of Guthrie, Oklahoma bed and breakfasts and country inns to find detailed listings that include room rates, special deals and area activities. You can click on the 'check rates and availability' button to contact the innkeeper. Guthrie, located in Logan County, Oklahoma is part of the Oklahoma City Metroplex, and gets a big share of visitors that come to see the sights of the city. Many guests search for Guthrie bed and breakfast inns. The city has many beautiful locations that manage to attract visitors. The Oklahoma Territorial Museum and Carnegie Library is located in the heart of Guthrie. Near this is the Oklahoma Frontier Drugstore Museum, and a mile away is the Guthrie Scottish Rite, one of the world's largest Masonic buildings and of architectural interest for its Greco-Roman style. Tour the National Four-String Banjo Museum, the Lighter Museum, wineries, art galleries and Victorian-style buildings. Ask your Guthrie bed and breakfast to arrange a carriage ride through the historic district. By Haunted Stone Lion Inn. Guthrie began its life as a dusty prairie stop along the AT&SF Railroad. On April 22, 1889, the day of the Land Run, (sometimes referred to as Harrison's Hoss Race), Guthrie had its first incarnation as a destination, becoming a city of 10,000 people by nightfall.Located in the Unassigned Lands of the Indian Territory, Guthrie had been chosen as a site for one of the Federal Land Offices where land seekers were required to file claim to their parcels. By the evening of April 22, a tent city already dominated the landscape. Wooden buildings soon replaced the tents spreading across the hills along Cottonwood Creek. Guthrie became one of the largestcities west of the Mississippi and was quickly known for its beautiful buildings built of red brick and native sandstone. Oklahoma became a US Territory and Guthrie was selected as The Territorial Capital. Seventeen years later, on November 16, 1907, Oklahoma was declared a state by thenPresident Theodore Roosevelt with Guthrie as the First State Capital.History is brought to life each day on Historic Trolley Tours and in places like the Oklahoma Territorial Museum, The State Capital Publishing Museum, and The OklahomaFrontier Drugstore Museum.There are over 2,000 buildings within the Guthrie Historic District covering 1,400 acres. Thousands of visitors and history buffs have experienced the magic of this unique territorial city. Guthrie truly embodies the essence of the era and the spirit of Oklahoma. By Jaded Getaway.